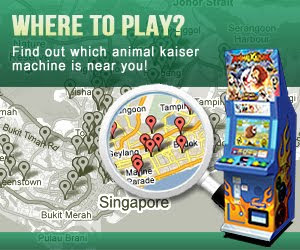 We will be running our first online Animal Kaiser Card Design contest. Download and print the template out. 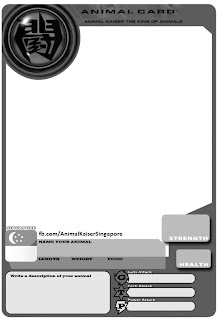 Draw your favourite animal characters on the template and colour. 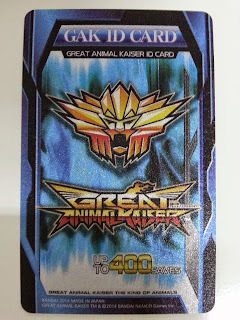 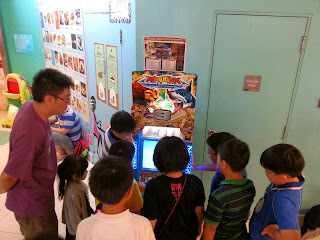 The design with the MOST LIKES by 31 May 2012 (Tue) get to WIN a Ultra Rare Animal Kaiser Card. 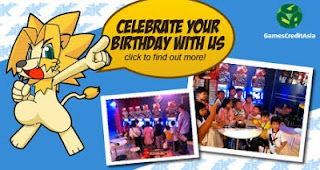 Winner will be contacted via your facebook account.